New. Trade paperback (US). Glued binding. 110 p. Contains: Illustrations, black & white. New. 100% Money Back Guarantee. Brand New, Perfect Condition. We offer expedited shipping to all US locations. Over 3, 000, 000 happy customers. Trade paperback (US). Glued binding. 110 p. Contains: Illustrations, black & white. 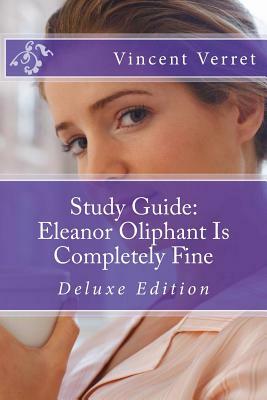 This study guide is a completely generic note-taking booklet with the title Eleanor Oliphant Is Completely Fine inserted into the text a couple of times. Truly, that is it. Dr. Vincent Verret did not read this novel, has likely never even laid eyes on the novel. And, as a generic note-taking booklet to use as a companion for any study of a novel, it is incredibly lame. So, I spent about $7 to get a waste of paper, postage, and delivery resources. I would never use it with my students for any piece of literature. Dr. Vincent Verret, I want my money back.